Welcome to Planet Guinea’s new look newsletter! Head Lines: No comings or goings since our last newsletter but we did receive a rather bizarre enquiry from someone about ” Guinea Pig Welfare’s forum”! We were asked what could be expected for the annual £5.20 we were charging to view our forum. Guinea Pig Welfare and associated websites do not charge for information- ever. We believe that all information should be free and the owner left to choose their source. 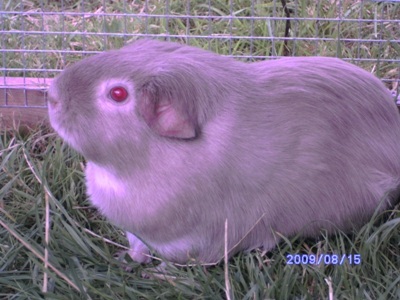 It was later pointed out to us that there was a rodentologist/Rodent Health Advisor on the forum that had recommended that around 100 fungal guinea pigs should be put to sleep; furthermore this “diagnosis” (illegal because the person is not a vet), was made without even seeing the guinea pigs concerned. Members of our Face Book page got the full details on this! That was the pig that was… On Planet Guinea every guinea I meet tells a story, some dramas, some romances, some traumas, the odd horror story but all have a happy ending. “That was the pig that was” draws on these different guineas and their stories. I met Butternut when Chrissie brought her round to choose a friend. I hads been assured she was a mild mannered guinea pig and everything would probably be a matter of just choosing the best one… There’s a twist in the tale of this story! See: The Pig Issue for more. Wheekers’ World: (What we have been seeing and hearing on our Facebook page):We have had a “show us your Agoutis Wheekend” and currently are having a rare varieties wheekend. Rare varieties could be better described, perhaps, as rarer. These include: Swiss, Lunkys, Otters, Foxes, Tans and Satins plus of course any others that are in the RVCC.Bedding has been a topical discussion as has heat- the two subjects were married together this wheekend when temperatures soared- fleece and veterinary bedding are not suitable for hot weather!To see what else we’ve been chatting about and to keep up to date with us pop along and take a look at: Guinea Pig Welfare on Face Book. Feel free to post your pigtures too! Planet guinea Shop News: The Planet Guinea shop is going to be on the move again this summer. We are currently with Store 2 Go, and, although we are not a business, we strive to provide everything a business would in our efforts to fundraise for the rescue guinea pigs. BUT this comes at a cost, so to cut costs we have taken a friend’s recommendation and will be changing our online provider and at the same time will be cutting costs to ourselves but not your security when you shop. The upshot of this will be several wheeks (probably in June) when http://www.planetguinea.co.uk will be offline. As yet we are undecided about putting products on Ebay or just taking a little break! I will, of course, keep you updated; but if you are feeding grass regularly then it would be prudent to order in advance- similarly with the Bags of Fun etc. Any advice included in this newsletter is not intended to replace veterinary advice. You have a legal obligation to seek veterinary attention if you suspect your guinea pig is ill.